Just recently, Italian automaker Fiat imported two units of the Abarth 500 high performance hatchback into India. The cars, which were imported from Italy, are in India for the mandatory homologation purpose. Fiat India will launch the Abarth 500 by the end of this year, as its fourth and last launch for 2014. The India-spec Abarth 500 hatchback will be the version sold in markets such as the UK and Australia. Apart from a right hand wheel drive layout, the car is expected to feature the 1.4 liter-4 cylinder turbocharged petrol engine in 160 Bhp-230 Nm state of tune. A five speed manual gearbox will transmit torque to the front wheels of the car. Since Fiat India will import the Abarth 500 as a completely built unit, expect the hatchback’s price to cross the 25 lakh rupee mark, making it an expensive proposition that’s targeted solely at enthusiasts. The Fiat 500 Abarth will serve as a brand builder for the Italian brand, by showcasing high performance in a compact, diminutive package. As of now, Fiat India doesn’t have plans of localizing the Abarth 500 due to the low volumes that this car is expected to garner. A two door car, the Abarth 500 has room for two adults up front and two kids at the rear. This is another factor that limits the car’s appeal to dyed-in-the-wool enthusiasts as practicality isn’t really its forte. 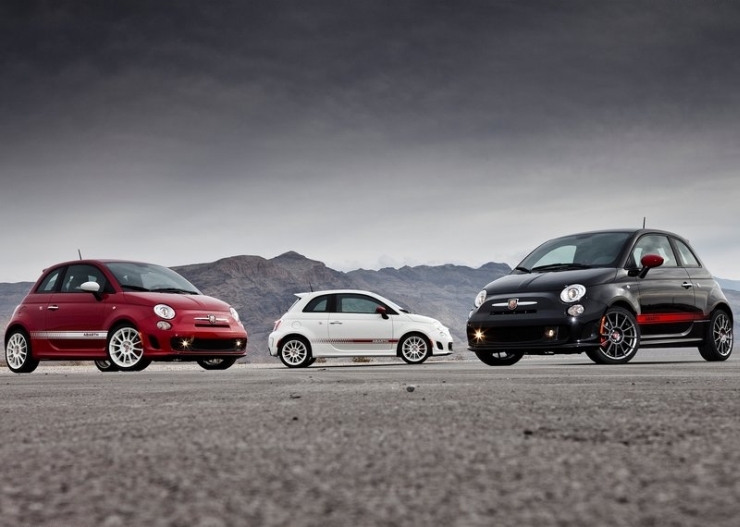 Fiat will sell the Abarth 500 through its chain of independent dealerships across the country. Although Fiat initially had considered setting up independent Abarth dealerships in India, the option has now been dumped in favour of using the automaker’s existing set of independent dealerships and service centers to sell and maintain Abarth branded cars. Next year, Fiat plans to sell Abarth badged PuntoEVO hatchbacks in India. The Abarth badged Punto EVO hatchbacks are likely to feature body kits that make them stand apart from the regular Punto. However, the engine that powers the Abarth branded Punto EVO in India is expected to be the 1.3 liter Multijet turbo diesel motor instead of the 1.4 liter turbo petrol unit that the Abarth Punto gets internationally.